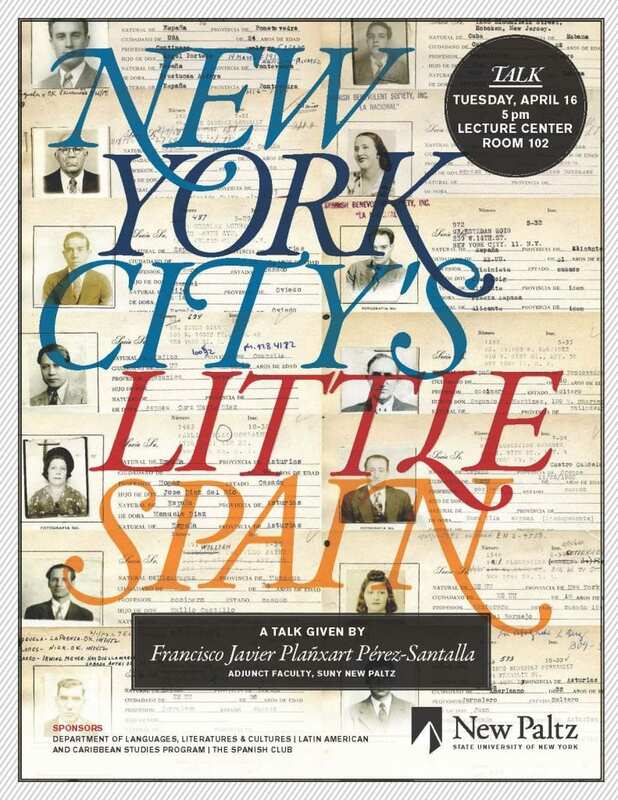 Please join us Tuesday, April 16th for a talk given by Francisco Javier Plaxart Perez-Santalla titled, New York City’s Little Spain, in Lecture Center 102 at 5:00 p.m.
Reading by author Jaime Manrique, on Thursday, April 18, 2019, Science Hall 181, 5 PM. 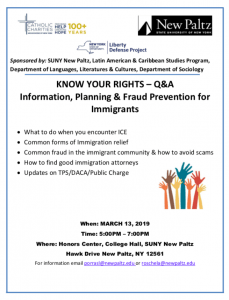 A Question and Answer regarding what immigrants should do when they encounter ICE among other information to protect themselves and exercise their rights on Wednesday, March 13 from 5-7 p.m. in the Honors Center, College Hall. 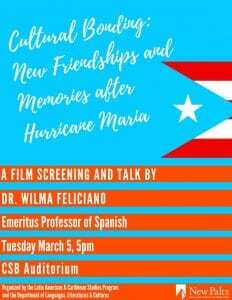 On Tuesday, March 5, 2019, from 5-6:45 p.m. in the CSB auditorium, Dr. Wilma Feliciano, Emeritus Professor of Spanish at SUNY New Paltz, will exhibit a short documentary on the reconstruction efforts in Puerto Rico after Hurricane Maria and will have a discussion with the audience. 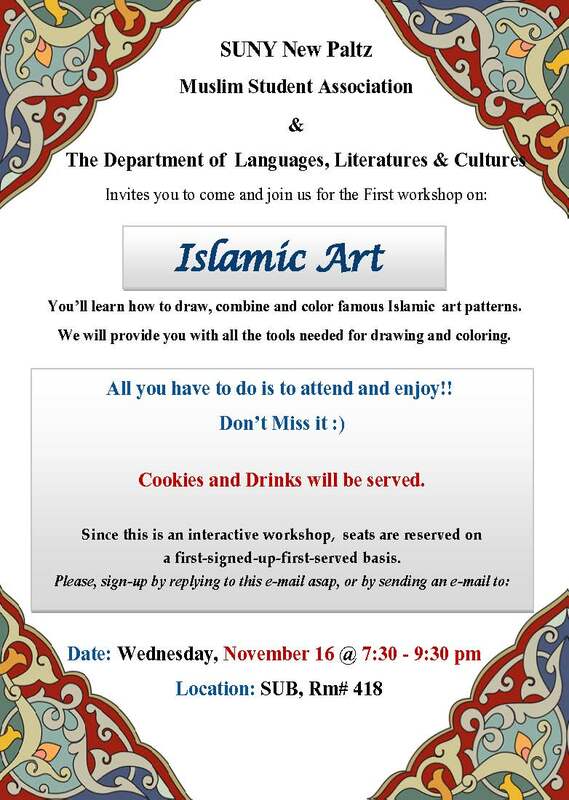 Faculty, staff, and students among others are more than welcome to come. 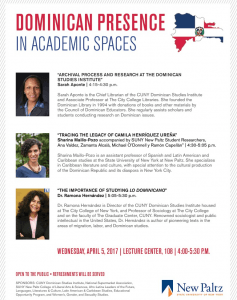 This event is sponsored by Latin American & Caribbean Studies and Languages Literatures & Cultures. 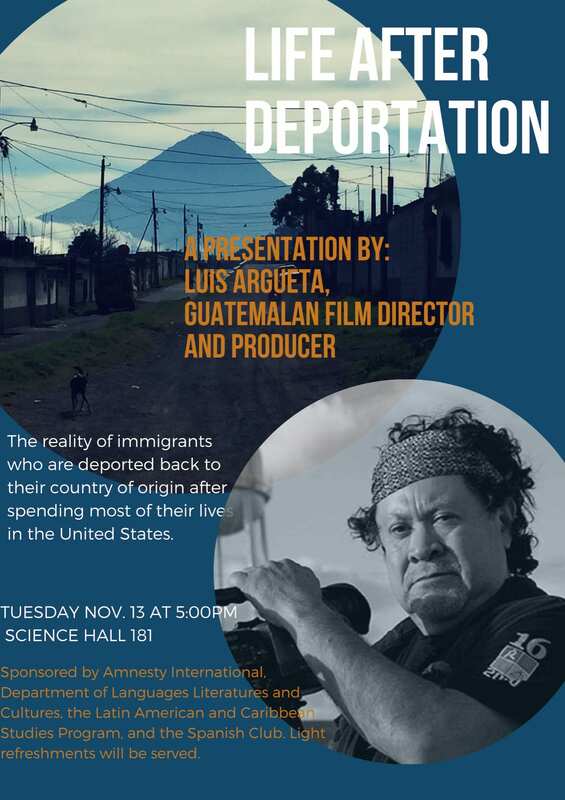 When: Tuesday, November 13 at 5 p.m.
We will have the privilege of listening and having a conversation with Luis Argueta, Guatemalan film director and documentarian on Tuesday, November 13 at 5 p.m. Luis Argueta, is one of the most important filmic voices in Guatemala and Central America, and has been working for years on the issues of migration and deportation. What happens to our neighbors, coworkers, and friends when they are exiled from the United States and have to go back to the countries they are supposed to belong? How is life after deportation? 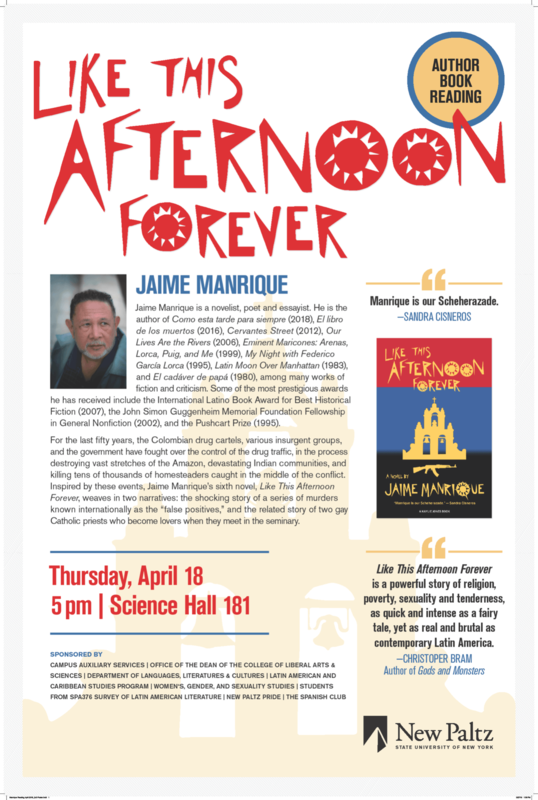 Luis will talk to us about these issues and show us some of his most recent work in Guatemala. 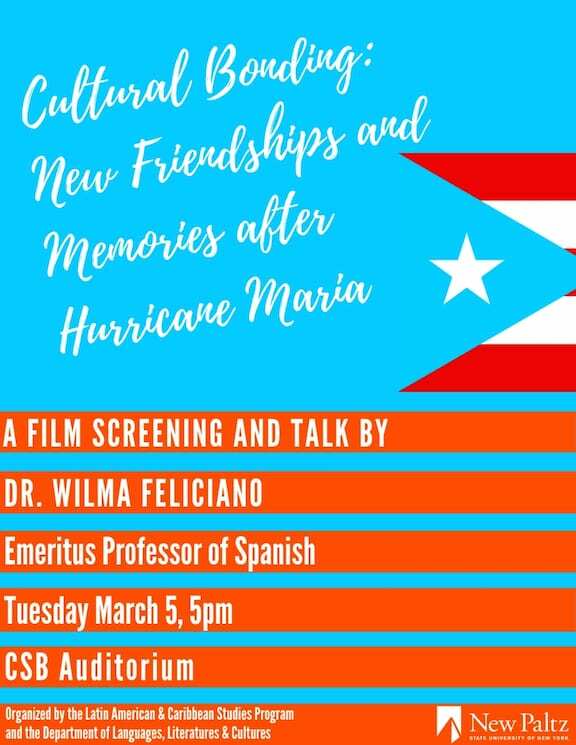 In these dark and hard times for Central Americans, for immigrant communities across the US, and for everybody that cares about their neighbors, this is of an event of upmost importance. 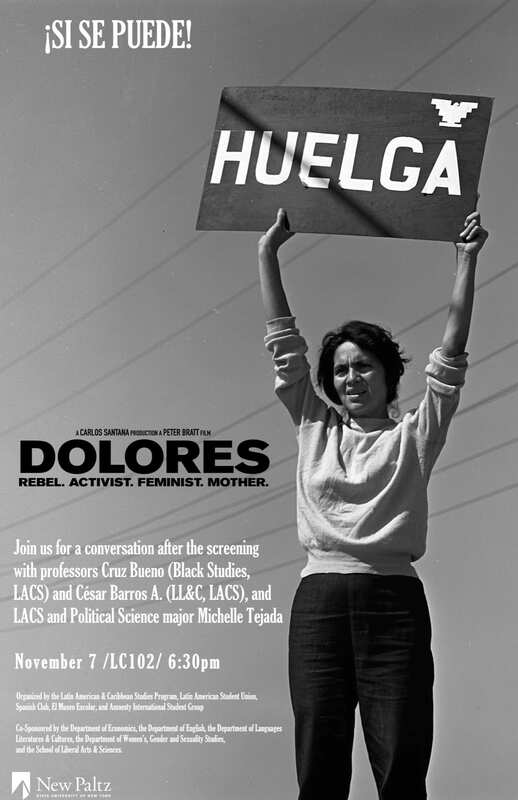 On Wednesday, November 7th at 6:30 p.m. in Lecture Center 102, The Latin American & Caribbean Studies Program, along with the Latin American Student Union, El Museo Escolar Student Group, Amnesty International Student Group, and the Spanish Club, wants to cordially invite you to the public screening of Dolores (Peter Bratt, 2017). The film documents the life of one of the most important women in the history of this country. Dolores Huerta was the co-founder of the United Farm Workers of America, the first union of its kind in the country. As union leader, feminist activist, and mother of 11, Dolores, as she is known in the Latinx community, has worked tirelessly in the struggle for more just conditions for workers, women, Chicanxs, Latinxs, and immigrants. 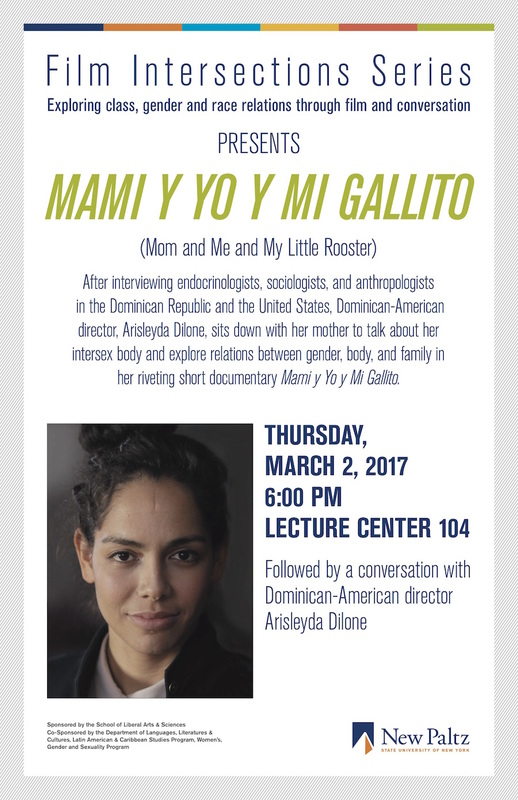 The documentary explores all the different facets of this amazing woman who also coined the chant “¡Si se puede!” [Yes we can! ], a phrase that since its inception has become an important part of our community’s political expression. 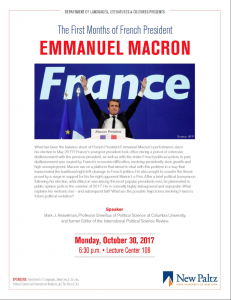 The event is co-sponsored by the Departments of Economics, English, Languages, Literatures & Cultures, Women’s, Gender, and Sexuality Studies and the School of Liberal Arts & Science. The Luigi and Anita Traverso Endowment for Italian Studies, The Italian Studies Program and the Department of Languages, Literatures & Cultures cordially invite you to The Luigi and Anita Traverso Italian Studies Lecture Series. 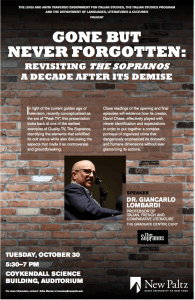 The event takes place on Tuesday, November 2nd, and we ask students and community members to gather in the Coykendall Science Building auditorium to hear a lecture and analysis of the critically acclaimed and widely known HBO television series, “The Sopranos,” by Dr. Giancarlo Lombardi from the graduate center of City University of New York. 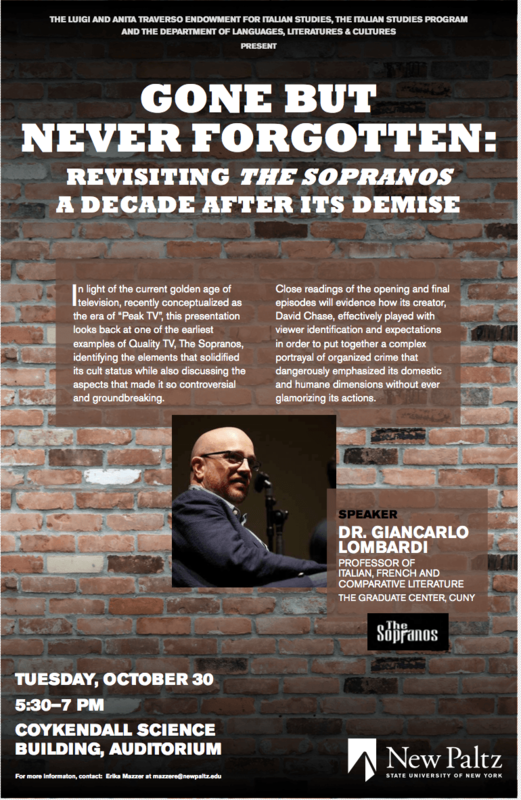 He discusses the world of quality television before online streaming by looking into the past and through the lens of this series. 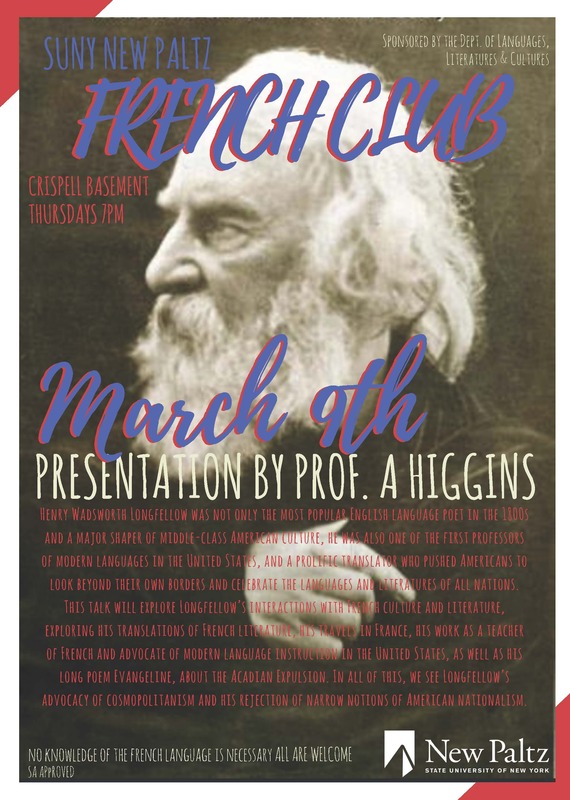 It is sponsored by The Luigi and Anita Traverso Endowment for Italian Studies. The endowment was created and established in 2001 by New Paltz professor Giancarlo Traverso in memory of his family members. 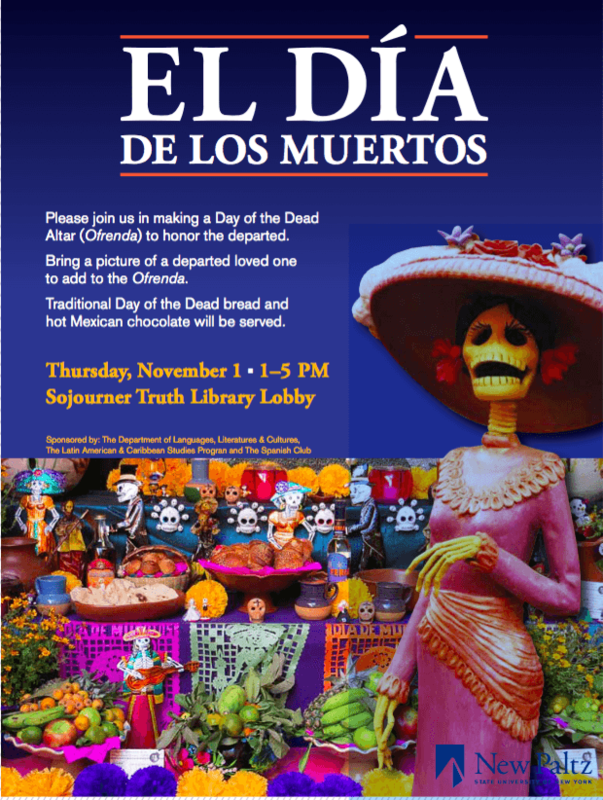 When: Thursday, November 1st from 1- 5 p.m.
Come join us on the Day of the Dead to honor the departed on Thursday, November 1st from 1 – 5 p.m. in the Sojourner Truth Library. 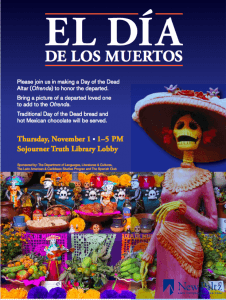 We’ll learn about the history of this day, the alter, and the offering, while also enjoying Traditional Day of the Dead bread and hot Mexican chocolate. 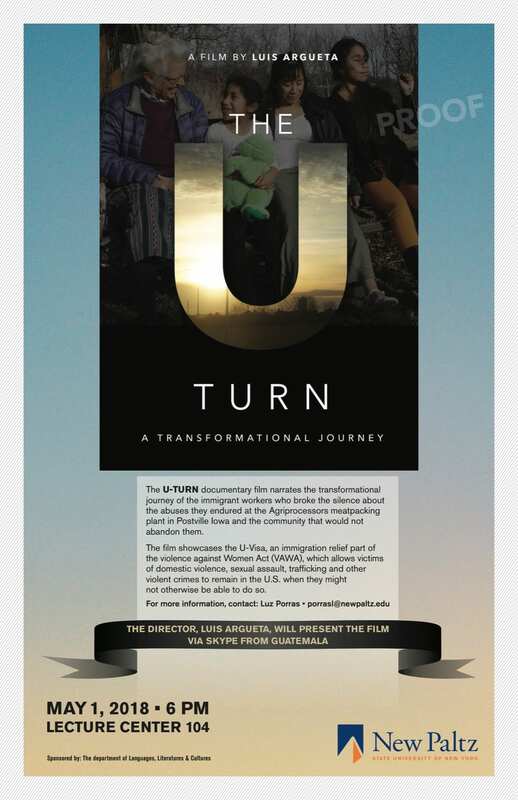 Join us to watch a documentary by Director Luis Argueta called, “The U-Turn,” on Tuesday, May 1st in Lecture Center 104. He will be presenting the film via Skype from Guatemala. Strongmen now rule over some of the most populous countries on earth, such as Turkey, Russia, and China. 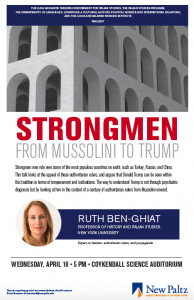 This talk looks at the appeal of these authoritarian rulers, and argues that Donald Trump can be seen within this tradition in terms of temperament and inclinations. 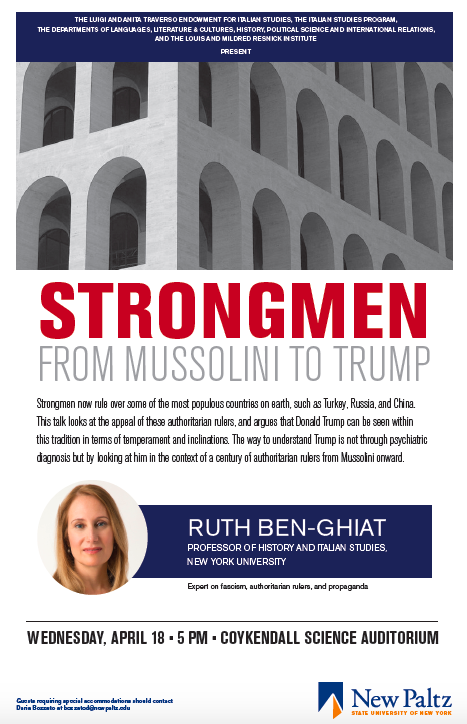 The way to understand Trump is not through psychiatric diagnosis but by looking at him in the context of a century of authoritarian rulers from Mussolini onward. 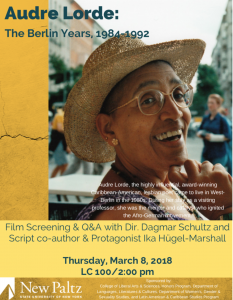 Film Screening of Audre Lorde: The Berlin Years, 1984-1992. 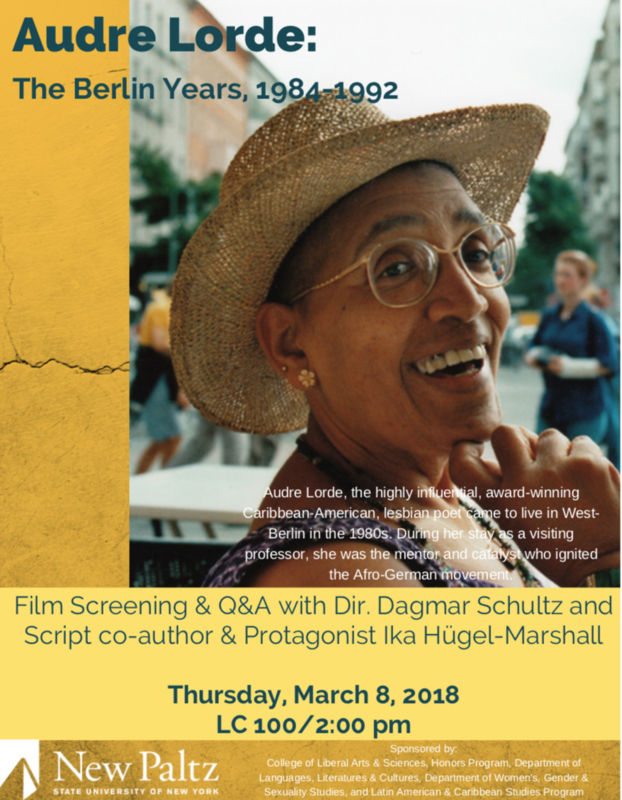 The documentary details Caribbean American lesbian, poet, warrior, mother, Audre Lorde’s years in West Berlin before and after the fall of the Berlin Wall and her impact on and involvement in the Black German movement. 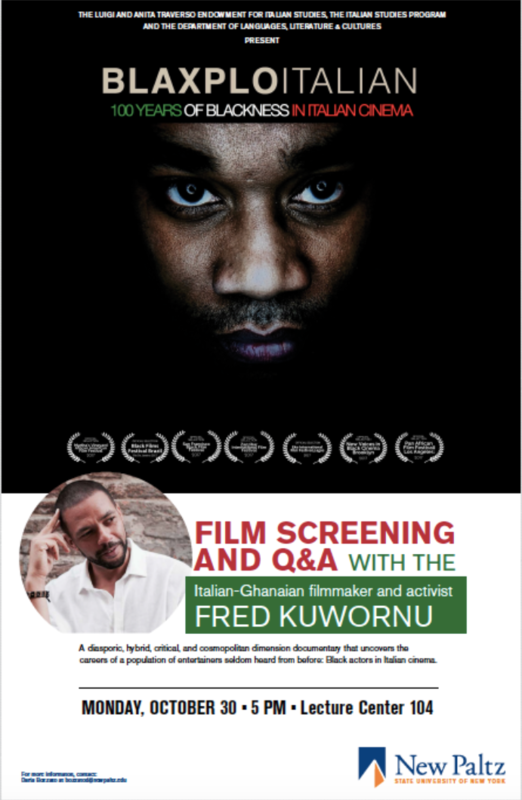 Film Screening and Q&A with the Director Fred Kuwornu. 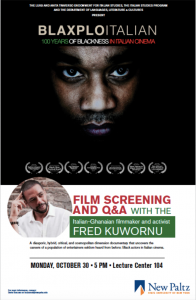 A diasporic, critical, hybrid, and cosmopolitan dimension documentary that uncovers the careers of a population of entertainers seldom heard from before: Black actors in Italian Cinema. 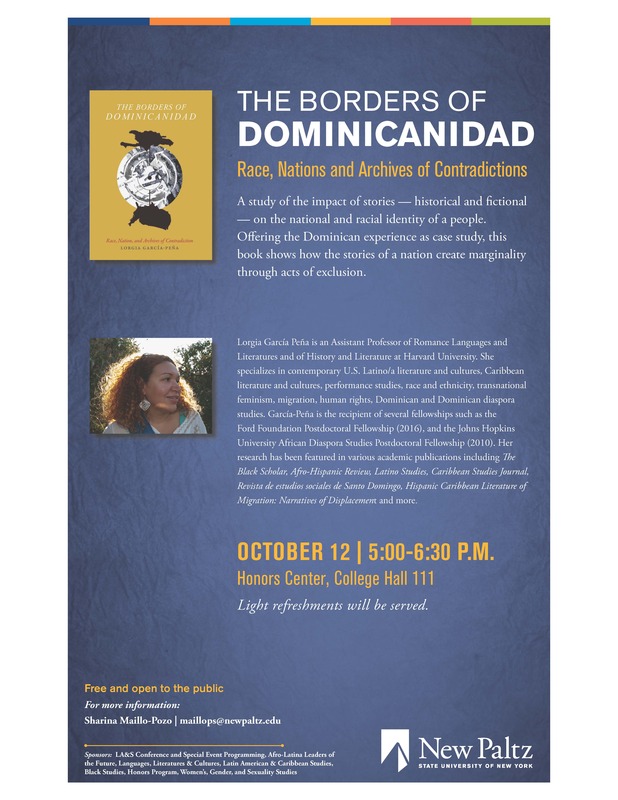 A study of the impact of stories-historical and fictional-on the national and racial identity of a people. 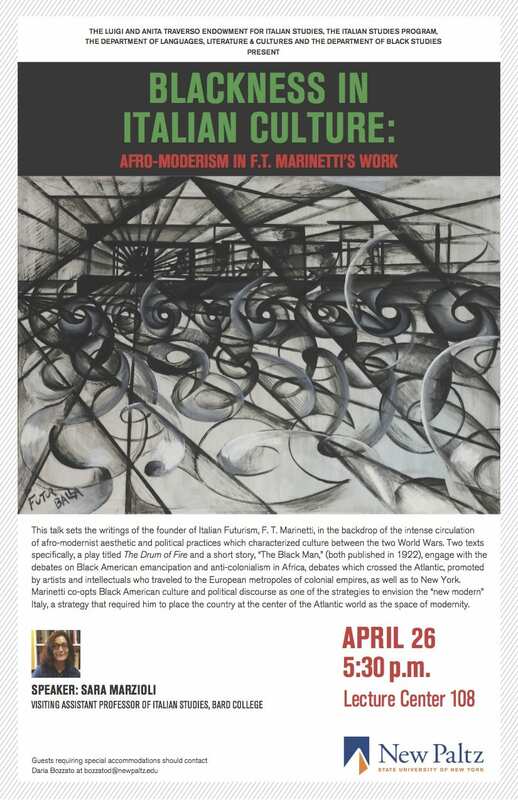 Please join us on Wednesday, April 26 at 5:30pm in Lecture Center 108 for our next Luigi and Anita Traverso Lecture entitled “Blackness in Italian Culture: Afro-Modernism in F.T. 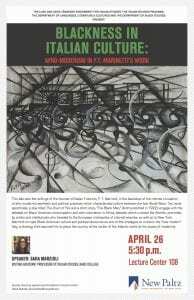 Marinetti’s work” by Sara Marzioli (Bard College). 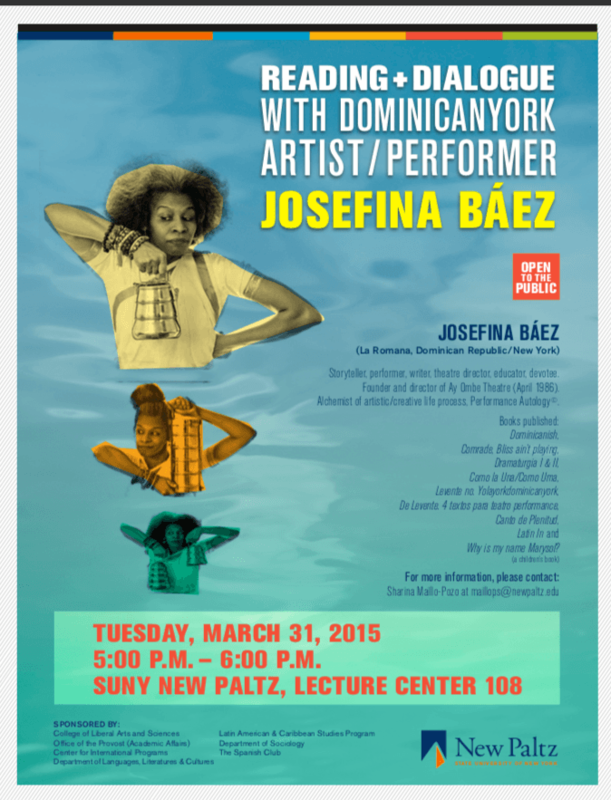 Sara Marzioli is a Visiting Assistant Professor of Italian at Bard College. Previously she has taught African American, Comparative and World Literature courses at Penn State and Guilford College. Her research brings into conversation twentieth-century African Diasporic and Italian writers and film directors, whose work addresses the intersection of history with modernist aesthetic and radical politics. She has published in African American Review and Atlantic Studies and has work forthcoming in Modernism/Modernity, as well as a chapter in a forthcoming collection edited by Indiana University Press. Currently, she is at work on a book manuscript titled, The Color of The Archive: Italian and Afro-Modernism Between the Atlantic and The Mediterranean. 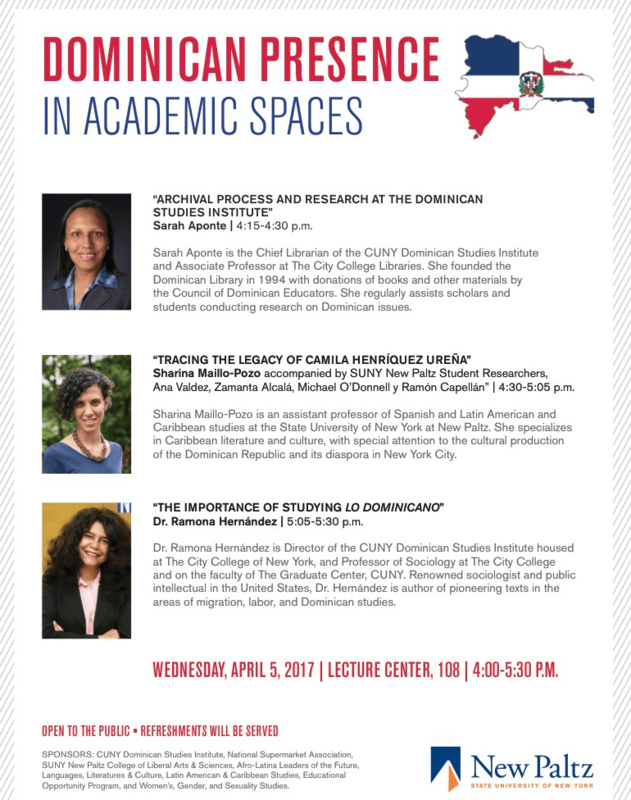 Please join us on Wednesday, April 5 at 4:00- 5:30 p.m. in Lecture Center 108 for a panel discussion on Dominican presence in academia. 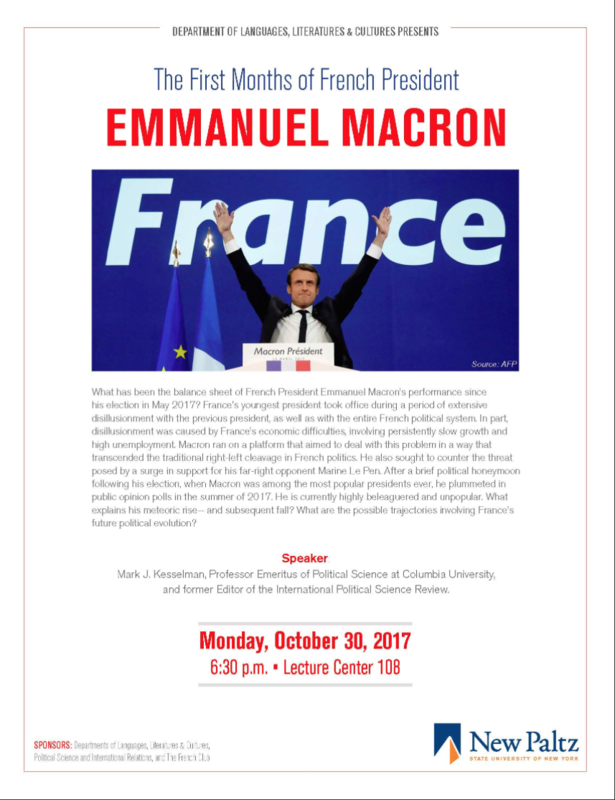 All details in the flyer. 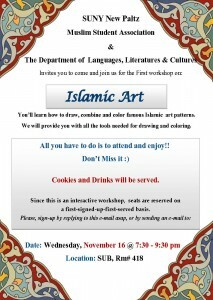 Learn to draw, combine and color famous Islamic art patterns! 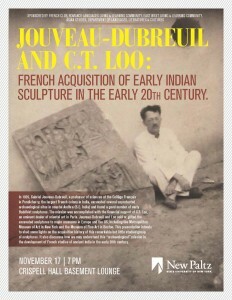 In 1926, Gabriel Jouveau-Dubreuil, a professor of sciences at the Collège Français in Pondicherry, the largest French colony in India, excavated several unprotected archaeological sites in coastal Andhra (S.E. India) and found a good number of early Buddhist sculptures. The mission was accomplished with the financial support of C.T. Loo, an eminent dealer of oriental art in Paris. Jouveau-Dubreuil and Loo sold or gifted the excavated sculptures to major museums in Europe and the US, including the Metropolitan Museum of Art in New York and the Museum of Fine Art in Boston. This presentation intends to shed some lights on the acquisition history of this remarkable but little studied group of sculptures. 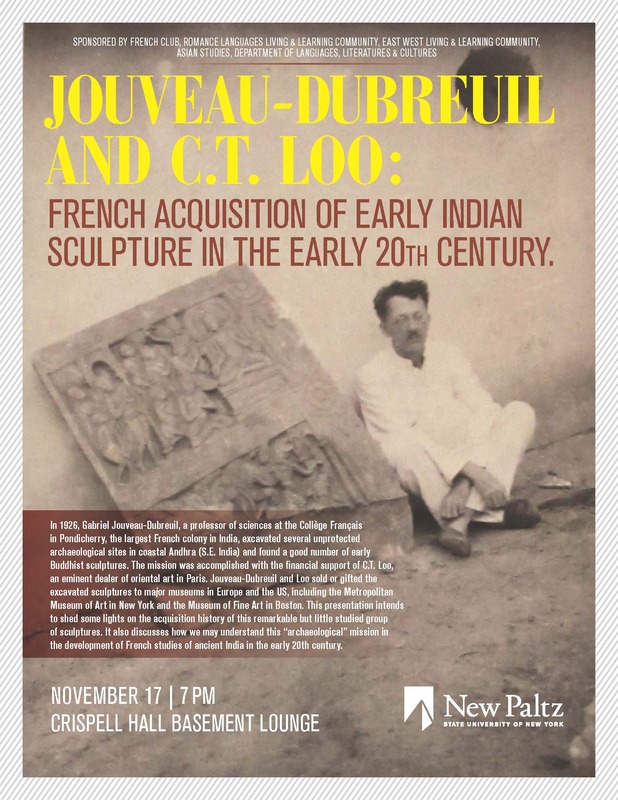 It also discusses how we may understand this “archaeological” mission in the development of French studies of ancient India in the early 20th century.